Down Payment Requirements for Offers in Compromise. Effective for offers submitted on or after July 16, 2006. The Taxpayer Relief Act of 2005 requires that a taxpayer who files a lump-sum offer in compromise must submit at the time of filing of the offer a deposit of twenty percent (20%) of the amount he or she offers. IRe Section 7122(c)(l). For example, if a taxpayer owes $100,000 in back taxes and files an offer to cOlnpromise the tax for $40,000, he or she must pay $8,000 with the submission of the offer. This amount is in addition to the "user fee" of $150. Offers received without the deposit will be returned to the taxpayer as non-processable. A lump-sum offer is one payable in five or fewer installments. Section 7122(1)(A)(ii). If the taxpayer makes a partial payment when a lump-sum offer is submitted, but the payment is less than the 20-percent required amount, the Service may accept the offer for processing and solicit payment of the remaining portion of the 20-percent amount. If the taxpayer does not pay the balance of the 20-percent amount within the time allowed by the Service, the Service may return the offer as not processable unless the Service determines that continued processing of the offer would be in the best interests of the government. Notice 2006-68. If the taxpayer submits a periodic payment offer, the taxpayer must include the first proposed installment with the offer. If the taxpayer does not make the first installment payment, the offer may be returned to the taxpayer as unprocessable. Section 7122 (d) (3) (C). While a periodic payment offer is being evaluated by the Service, the taxpayer must make subsequent proposed installment payments as they become due. If the taxpayer fails to make an installment paynlent other than the first installment, the failure may be treated as a withdrawal of the offer. Section 7122 (c) (1) (B) (ii). Notice 2006-68. If the offer is accepted then the 200/0 payment will be applied to the amount offered, i.e. the taxpayer will only need to pay an additional $32,000. However if the offer is determined to be not processable and the taxpayer has made either the 20% initial payment for Lump Sunl Cash offer, or the first initial installment for the Short Term Periodic Payment Offer or Deferred Periodic Payment Offer, these payments will not be refunded. They will be applied to the outstanding tax liability and the offer will be returned as not processable, and without appeal rights. If the offer is determined to be processable and later in the investigation, the offer is returned, rejected, or withdrawn, the application fee and payments will be applied to the outstanding tax liability. The taxpayer may specify how any payment are to be applied to the assessed taxes, penalties, interest, etc. IRC Section 7122(c)(2)(A). The specification must be made in writing when the offer is submitted or when the payment is made. 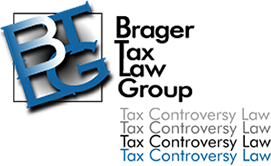 The specification should clearly indicate how the partial payment or partial payments (in the case of a periodic payment offer) are to be applied to specific taxable years (or other taxable periods) or to specific liabilities (e.g., income taxes, employment taxes, and trust fund recovery penalties). IRS Notice 2006-68.